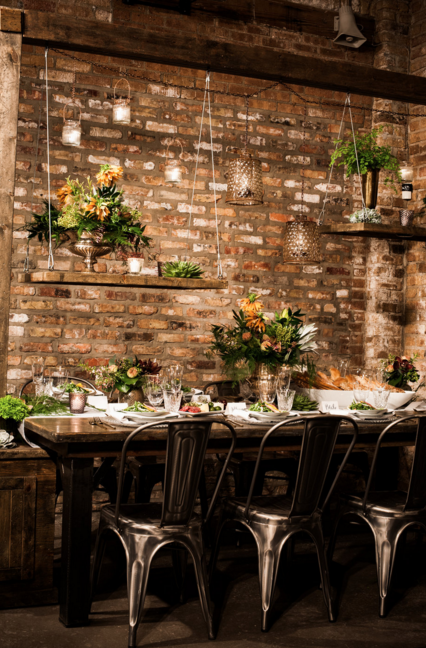 Calligraphy by CT featured on Tablescapes Chicago! I had the special opportunity to be a part of Tablescapes monthly feature with Guest Designer, Bride + Joy Events! It was such a great experience. The design was a glamorous, rustic, lush display that even featured cuisine! Most of the shoots that I've been a part of have only focused on the decor. Tablescapes has relationships with so many fabulous catering companies though this makes sense. Added to the overall beauty for sure!